After a lovely Thanksgiving holiday, this email . . . Team YouTube goes on to inform me that videos containing any of this “will either be removed or age-restricted, depending on the severity of the act.” And thus they age-restricted my video–76 seconds of me, an upstanding senior citizen (OK, I do have osteoporosis, so I may hunch a little) having fun running through puddles, mud, and the occasional pile o’ horse poo. YIKES! What am I missing here, shipwrecked as I am at age 59 on my Isle of Irony? That my transgressions are bad enough to get age-restricted, but not enough for outright removal? That I’m still not one of the cool kids? What have I done, O Guardians of All That Is You-Tube-able? What dark shizzle is hiding in plain sight (like the evil audio slurry that oozed out upon reversing Stairway to Heaven) in my ostensibly innocuous grandma frolic after a rare Southern California rainstorm two years ago? Also: Have I ever had the opportunity to use the word “ostensibly” in this blog before? Am I using it correctly now? ‘Cause if anything was ever ostensible, it was my oblivion to the fact that I was purporting, promoting, proposing, or otherwise publicating anything other than the joy of running barefoot on trails for the last eight years now but who’s counting actually I am counting hard because my nine-year barefoot anniversary is just around the corner in January which means a big celebration will be in order probably something along the lines of a nice barefoot trail run . . . So get your mind out of the gutter (but which gutter? the violent one, or the graphic one, or the humiliating fetish one?) YouTubers. (WAIT a minute . . . tubers are potatoes, which grow, not in a gutter, but still, underground, and then all this begins TO MAKE SENSE as a vast vegetative conspiracy aimed at [TBD]. Happy (hmmm . . . non-humiliating-fetishy?) Trails! 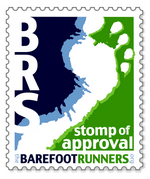 And, this Thanksgiving, I continue to be thankful for all the awesome barefoot (and even shod), like-minded wandering nature lovers out there–that means you, if you made it this far! Congratulations, Thea. You have joined ranks with the upright and awesome group of You Tube truthers who are sustaining censorial attacks by the same-mentioned establishment … telling the truth about stuff like the benefits of barefoot existence is understandlbly offensive to those hoping to continue the conspiracy of the necessity of everything we don’t really need (in this case living shod), thus by further emptying the wallets and pocketbooks of the masses for not only the shoe industry but every kind of doctor you could possibly imagine, WHICH, ultimately hurts the BGPHRMA in the sky. You best take care. We’re not in Kasas anymore. WWG1WGA! Thanks as always for helping ignite our brain switches! Have a blessed Holyday season. And the Youtubers all ran barefoot… happily ever after! Something strange going on with the comments here. I can see most (not all) of them in the WordPress app, but more are missing when I visit your site directly. They also seem to disappear when I first post them. Maybe the WordPress app is a bit buggy at the moment. Feel free to delete this comment and any duplicates I’ve made. In terms of countries, I mean. Hmmm . . . I just checked my email, and there’s a note from YouTube that “after further review, we have removed the age restriction on your video” . . . so a small “free barefoot speech” victory after a mild kerfuffle? Ah, right. You can’t control who watches your videos on a platform like YouTube though, right? I do enjoy how you turned it into a literary linguistic romp! We just had a nice hike up the Grey Wolf river with friends. That is a nice barefoot friendly trail with just enough mud and a stream or two to immerse your feet in! Another fun blog! Thank you! Mud and streams! Definite reasons to be thankful this weekend! Hi, Thea. I’m a barefooter too (just getting back into it). That’s utterly ridiculous. They must be making some tenuous connection to foot fetishism. But if they’d taken a minute to watch the video, and two seconds to look at the context, they’d realise the complaint is completely baseless. I’m assuming you’ve replied to them? I’d be interested to know what they said. Thanks for the encouragement, Thea. I’m just walking barefoot regularly at the moment, but my intention is to get back into running. I should have a blog up again on 1 Jan (kiwibarefooter.com). I like your ethos of fun. I will look forward to reading about your barefoot adventures in the new year!